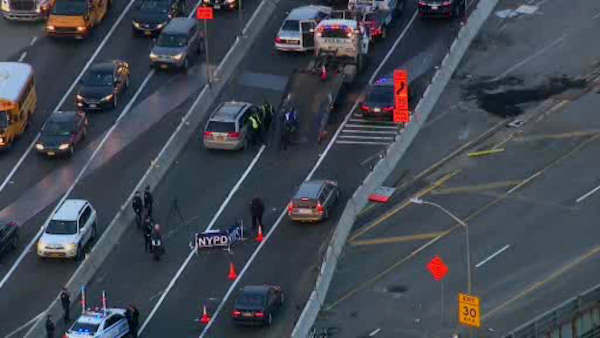 GREENPOINT, Brooklyn (WABC) -- A motorcyclist was killed in a collision on the Brooklyn Queens Expressway in Greenpoint, Brooklyn Monday morning. The motorcycle collided with an SUV in the westbound lanes near Exit 34 just before 4:15 a.m. The motorcyclist, a man in his 20s, was pronounced dead at the scene. The driver of the 2007 Toyota SUV was being treated for minor injuries. No charges are expected. The BQE's westbound lanes are closed for the investigation. There are major traffic delays through the area.